History: 60 year old female with arm pain. 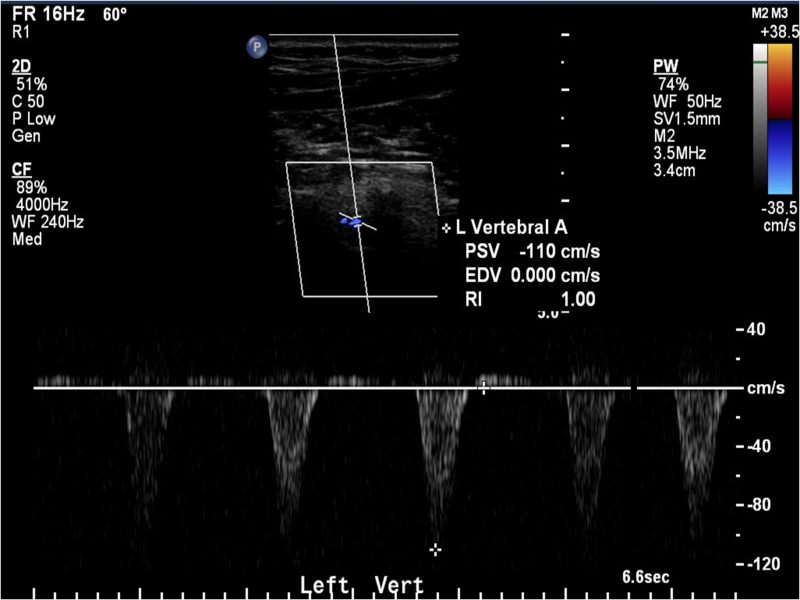 Doppler ultrasound of the right vertebral artery with spectral waveform and velocities. 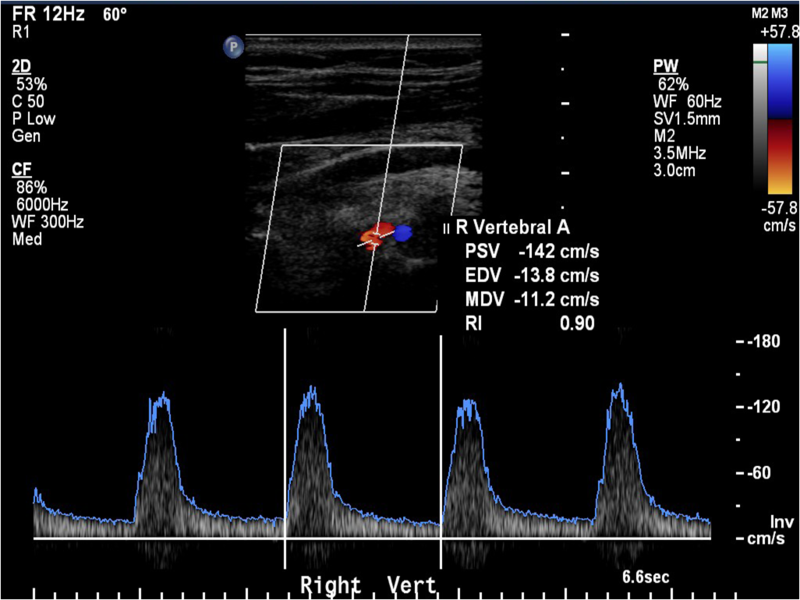 Doppler ultrasound of the left vertebral artery with spectral waveform and velocities. 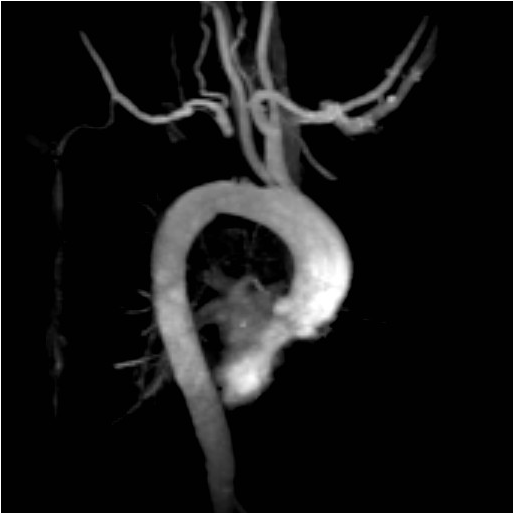 Oblique MR angiogram of the aorta and neck vessels. What is your diagnosis? Can you identify the salient findings? Comment, share, like, and pin below! Credit to Paul Murphy, M.D., Ph.D. for sharing these beautiful images! Yes. The left subclavian artery is occluded. Whether that is from thrombosis, atherosclerosis, extrinsic compression, etc., we don’t know from these images. Importantly, on the ultrasound images there is left sided subclavian steal with reversal of flow in the left vertebral artery away from the transducer. The full solution article will be posted tomorrow. Thanks for answering!